The first and fourth quarters were dead even in Tuesday’s MIAA A Conference basketball game, as No. 12 Loyola visited No. 9 McDonogh. It was in between where each team made their respective moves and the net result was a narrow 52-50 victory for the host Eagles. Loyola had a big second quarter, outscoring McDonogh 17-10 to carry a 25-18 lead to the half, but McDonogh responded with a 20-11 third quarter advantage. This set the stage for a tight final quarter, as the contest was tied five times and experience seven lead changes. McDonogh dominated in the transition game, outscoring the Dons 14-0 in this category, while Loyola owned an 8-4 edge in three-pointers. Drew Green delivered 16 points and six rebounds for McDonogh, while Everett Cooper and Jared Billups scored nine points each and combined for nine rebounds. Loyola’s Matt Fischer made just one field goal but led Loyola in scoring with 12 points by going 10-for-10 from the free throw line. Brendan Fox hit three three-pointers and finished with 10 points. McDonogh (13-6 overall) improved to 7-4 in the MIAA A. The Eagles are in second place in the Black Division. Loyola (13-9 overall) is 7-5 in the league and currently in third place in the Red Division. 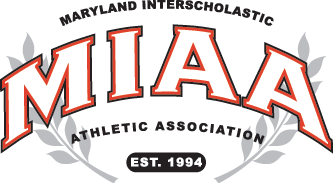 With Mount St. Joseph and St. Frances battling for the top of the division, the Dons are attempting to hold off Glenelg Country (605), St. Vincent Pallotti (4-4) and Gilman (4-5) for the third and final playoff spot in the division. Pictured above: McDonogh’s Drew Green scored 16 points and had six rebounds as the ninth-ranked Eagles defeated No. 12 Loyola in MIAA A Conference play.